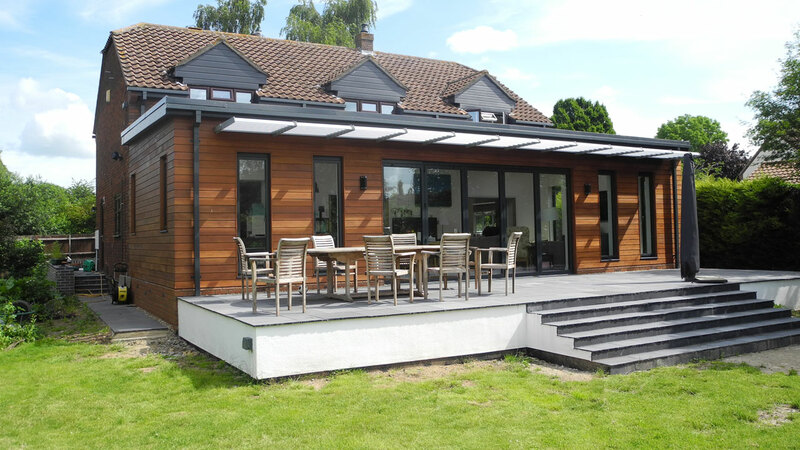 A contemporary single storey rear extension, providing an open-plan internal living arrangement for a private domestic client in Hemingford Grey. 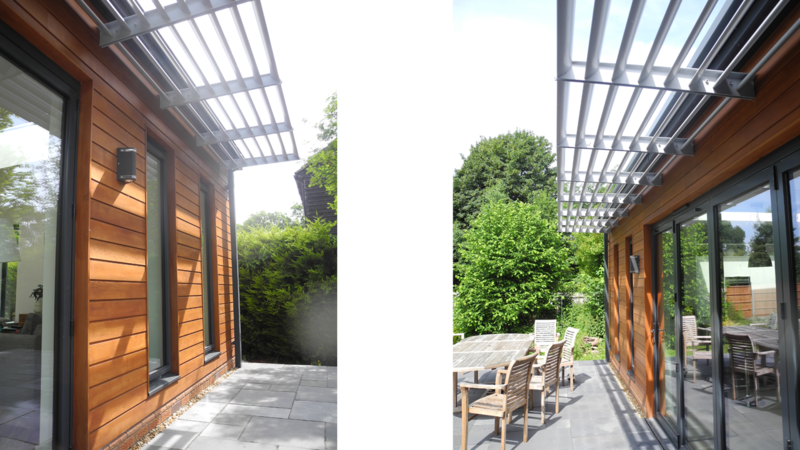 Our client was looking for a flexible internal living area, with level access onto a raised external patio area and a contemporary external appearance. 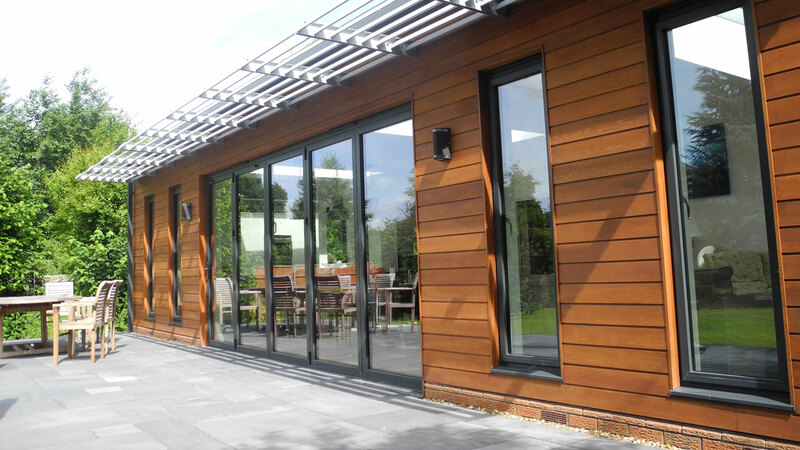 We used horizontal cedar weatherboarding, grey alluminium windows and bi-folding doors and an overhanging brise soleil to add a modern twist to existing property. 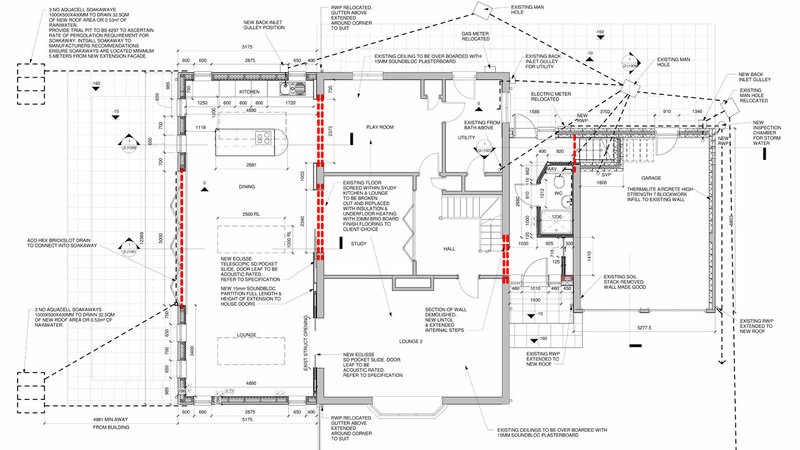 SISCO managed the project from the planning stage through to the delivery of the project on site.